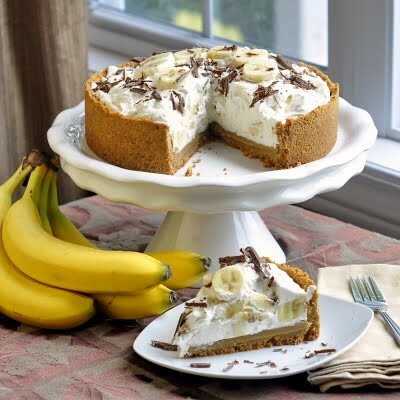 Yummy Banoffee Pie Recipe! - I Am Proud Of My Kids! When the Hungry Monk Restaurant in East Sussex, England developed this delicious dessert, they knew what they were doing. This creamy sweet treat was inspired by an American dish called ‘Blum’s Coffee Toffee Pie’ (you may have heard of it). Check out this recipe and cooking directions. Give it a shot, I bet your taste buds won’t be disappointed. Once both the crust and toffee filling are cooled, spread half of the filling evenly inside crust. Slice the bananas and layer on top of filling. Pour remaining half of filling over bananas, spreading evenly. Whip the cream with the confectioners’ sugar and vanilla and spread on top of toffee filling and bananas. Please share your favorite recipes with us. If they’re yummy, we’ll put them up and give you all the credit! 6 Comments on "Yummy Banoffee Pie Recipe!" It looks super I going to make it tomorrow. I love this it is so easy to make and it really good.